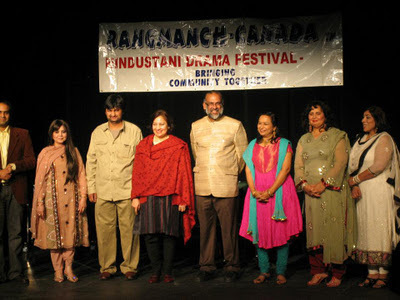 The ninth edition of RangManch-Canada’s Annual Hindustani Drama Festival held Saturday commenced with a lively debate on the Challenges of Staging Indian Drama in Canada and Experiences of Desi Talents in Mainstream Showbiz. Participants in the debate included Jawaid Danish, the artistic director of the festival Juhair Kashmiri, Jasmine Sawant, Nisha Ahuja, Mukesh Aspoa, Beeyah Mirza, Nass Rana, Samrina Qureshy, Vishnu Sharma, Nitin Sawant and Naval Bajaj. 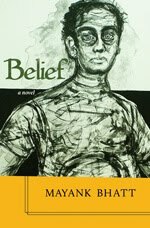 The challenges that those involved with South Asian theatre in Canada are manifold – lack of acceptance from the mainstream Canadian and the South Asian community; lack of support from private donors and from the art councils of the local governments; apathy of interest from the theatre-loving audiences. The discussion also revolved around some basic issues of identity and language; the mainstream theatre versus the art theatre movement. Everyone in the panel agreed with Bajaj’s contention that for South Asian theatre in Canada to remain relevant and find a larger following amongst the second and third generation South Asian Canadians there is need for more English adaptions of classic plays from different South Asian languages, and also more original English plays that depict the life of South Asians in Canada. The first play – Jeevan Saathi Clinic – ran to a packed house (Maja Prentice Theatre at the Burnhamthrope Library, Mississauga). It’s a simple story of a lover’s tiff between a newly married couple – Fareeha and Shaharyaar – and their eventual meeting at a matchmaking boutique. Vishnu Sharma as Gulfaam – the lead in the lighthearted comedy with a social message – was plain brilliant, as were the others (and all of them have a day job and were doing this for the love of theatre). Preeti Saran, the Consul General of India in Toronto, inaugurated the festival and was the chief guest.